Tom Randall, a climbing coach and the founder of Lattice training, has been testing thousands of climbers around the world. This, combined with his research-based approach, has accumulated him a vast amount of knowledge about climbing and optimal ways to improve it. Here Tom shares 3 common limiting factors for climbers, how to define them and what’s the first step in improving them! What might come as a surprise when seeing Tom doing some of his hard ascents, is that in the beginning he didn’t consider himself as a natural talent at all. But what he did have, was a huge hunger for training and understanding how it can be optimised. This led him develop Lattice Training, “world’s first systematic assessment and training tool for climbing” as stated in the website. After testing thousands of climbers, there’s no doubt that Tom wouldn’t have great insights to share. Tom training on Lattice board. So what are the 3 aspects which are easily forgotten by climbers? It’s obvious but also easy to forget how important fingers are in climbing - just ask anyone who has ever had an injury in them. 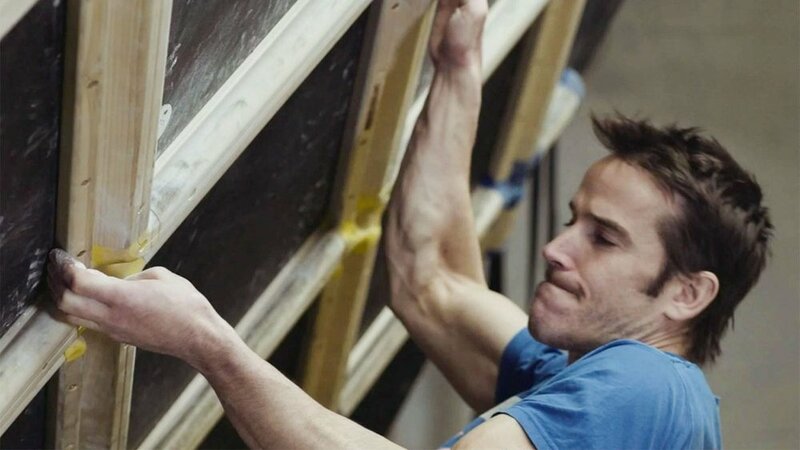 Tom agrees fully with this and thinks that every climber who wants to progress should pay attention to finger training. How to improve your finger strength safely? As the goal is to improve the maximum finger strength, the training needs to reflect that. When asked about the frequency, Tom suggests that as a rule of thumb beginner should do this once a week, and more advanced for 2-3 times a week. The training might sound even too simple when there’s all the different finger training options available. But as Tom puts it, “simple is effective”. To keep in mind: there shouldn’t be any pain involved - don’t train finger strength with injury! You know these climbers who are simply a joy to look at while they’re on the wall? Their movement looks almost like dancing. If you have given more thought to their technique, you might have come to this same conclusion: very likely they have a good level of flexibility. To address whether flexibility is your weak point, the best way is to find some of these dancers and compare yourself to them. How to be one of those graceful climbers? What many people have heard and obey, is that one should never stretch before training as it lowers your maximum performance. Tom considers this as an urban legend. To keep in mind: Stretch to discomfort but not to pain and the older you get, the more important it becomes! Shoulder function, meaning the range of motion you have in your shoulders, is vital to climbers in order to avoid injuries and to push for the best results. “Shoulder function is quite straightforward to test with a scapula shrug-hang. It’s a number one way to identify if there’s good shoulder strength as it includes all stabilizing muscles. How to get the shoulders back in place? If you notice a difference on your shrug compared to the video, it’s a good idea to start doing some shoulder training. There’s multiple moves to get your shoulder muscles more stabilized. What’s often linked with shoulder training is therabands - this is another point Tom takes down. To keep in mind: If you feel any nerve discomfort stop straight away and visit a specialist. To conclude, Tom shares something that sounds simple but is often forgotten. “You need to consistently apply the correct intensity and volume. Too often one is missing, and climber might say for example that “yes I was doing this program accurately for 2 months but then I stopped”, which ends up that the training misses consistency. Consistent training with right intensity and right volume. With these you have no other options than improve. Eager to get that strength in use outdoors? Access hundreds of high quality topos including Fontainebleau, Kalymnos, Rocklands, Siurana, Céüse, Magic Wood and much more with 27 Crags .premium subscription. If you liked the article, check out our other interview with Dicki Korb, the coach of Alex Megos!